Oklahoma has relatively few laws you’ll need to keep in mind in order to be a responsible gun owner. We’ve got everything you need to know to navigate the gun laws of Oklahoma and have you protecting your freedoms in no time! 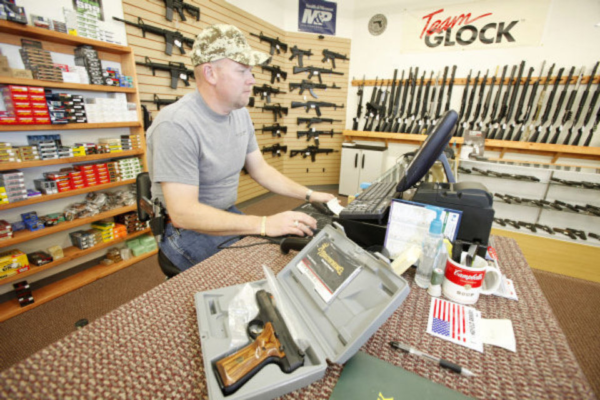 The actual process of purchasing a firearm in Oklahoma isn’t too difficult, with the process for buying a handgun very similar to the process for buying a long gun. To buy a handgun, there are only a few things to keep in mind. The most important thing to remember is that no permit or license is required to purchase a handgun. This doesn’t mean you can just walk into your local gun store and pick a new Glock off the shelf and be out in 5 minutes, but it does save a lot of time and hassle. The state of Oklahoma itself does not have any laws on buying a handgun, so the only requirements are the ones set by the federal government. Now, these requirements only apply if you are buying from a gun store, where they are definitely a licensed firearms dealer. If you decide to buy a handgun from an individual, through a private sale, then no background check is required. They’ll still need to make sure you’re at least 21 years old and have a state ID though! Buying long guns has very similar requirements to those for handguns. For those of you paying attention, you’ll notice you only need to be 18, and the ID does not have to be state ID. If you are from out of state, as long as it is legal for you to buy the gun in your home state, you can buy it in Oklahoma. Of course, the same situations that would prohibit you from owning a handgun also apply here to long guns. A bit of bad news, unfortunately. 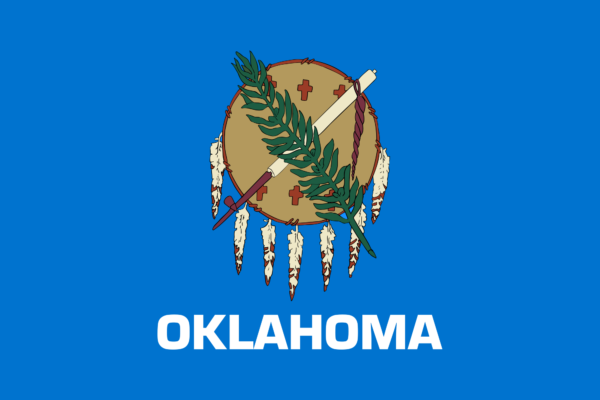 Oklahoma does not specifically have any laws on antique and replica firearms, so they are treated just like any other firearm. That means you can’t start your antique handgun collection until you turn 18, and won’t be able to buy that antique replica firearm from your local gun store until you meet all the requirements just like any other gun. We didn’t forget about you! Even though you need to be at least 18 to buy a long gun, there are still some situations where you can use a gun! A person under 18 years old can use a rifle or shotgun, if it is given by your parent or guardian, for the purpose of education, hunting, or sport. 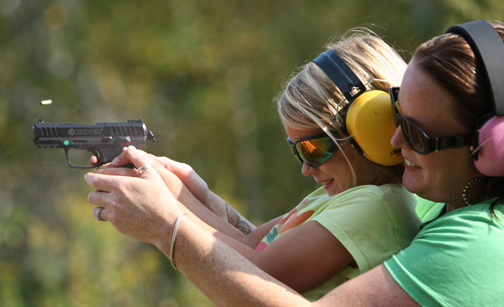 It’s not a handgun, but at least you can start practicing those safe weapons handling skills! And for you parents and guardians that want to take your kids out for a day at the range, be careful! If you are aware of any substantial risks that your kid will use the weapon in a crime or or if the kid has been adjudicated as a delinquent or even convicted as an adult, keep those guns away! You could run into trouble with the law for supplying them with firearms! Once you’ve got your guns in hand, you’ll want to show them off! But be careful! While open carry is allowed, it is only allowed in specific situations. Carrying for an entertainment event or historical reenactment. If you are going from your home to your car, or from the car to a gun shop, gun show, or shooting activity, you can also open carry. BUT, the firearm must be unloaded. If you decide to carry concealed, that’s great too! You’ll need to make sure you have a Concealed Carry License (CCL) from the state before you do that though, or else it’s just illegal. So yeah. For those of you interested in the CCL, we’ve got a separate section dedicated to the process of getting the CCL and the additional laws you’ll need to keep in mind once you get it. Go check it out once you’re done here! Or whatever car you drive. Just be careful how you transport your guns while in the car though. You can openly transport any unloaded firearms in your car, so as long as you keep it clearly visible and unloaded, you’re good to go. Putting it under the passenger’s seat or between your legs is not openly transporting it. At the range! Well, and also if you need to defend yourself and your family. Hopefully none of us ever run into these types of situations, but Oklahoma has laws on the books that allow you to use deadly force in self-defense if the need ever arises. Under what is commonly know as the “Castle Doctrine”, you can defend yourself while in your home, aka “castle”. Someone was trying to kidnap a person from your home or occupied vehicle. 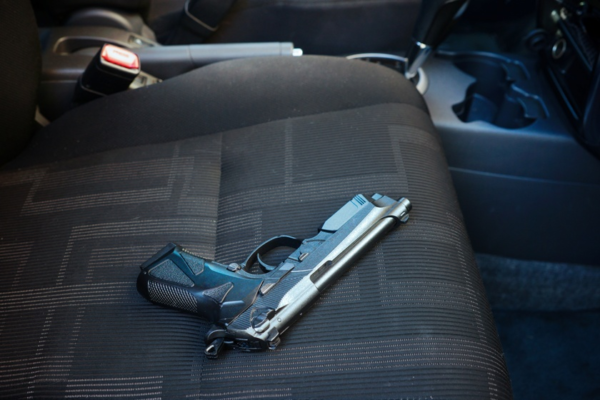 The key thing to keep in mind is that you can use deadly force to defend your home or occupied vehicle. If someone breaks into your house and tries to harm you or your family, you can use deadly force to defend yourself. If someone breaks into your car in the driveway while everyone is inside the house, you cannot shoot at the bad guy. It’s also important to remember that even though you need to have a reasonable fear of someone doing these bad things to you in order to be justified in using deadly force to defend yourself, under Oklahoma law, as long as a person illegally and forcefully enters your home or occupied vehicle, they are presumed to be attempting to commit some illegal act. While it’s great you can defend yourself and your family while you’re at home, you might run into threats while outside the home too. Oklahoma didn’t forget this basic fact, and so has also put a “stand your ground” policy into the books, to let you defend yourself while out on the town. As long as you are somewhere you have a right to be (i.e. a restaurant, not the employees-only kitchen), you do not have a duty to retreat before using deadly force to defend yourself or others, if you reasonably believe it is necessary to prevent death or great bodily harm to yourself or others. Of course, even with these laws permitting self-defense, it is important to keep in mind that just because you are justified in using deadly force does not mean it is required. Always use your best judgement to decide what type of force is appropriate, or if it is necessary to stand your ground, when retreating may be the safer option for you and others around you. And with that, we’re done! You now know everything there is to know about gun laws in Oklahoma! Well, except for the concealed carry rules. But we’ve got got you covered with our Oklahoma CCW section, so go check it out!